Beverly, MA Bob Horvath and Todd Tremblay of Horvath & Tremblay sold a neighborhood retail plaza. Horvath & Tremblay exclusively represented the seller and procured the buyer to close the transaction at a sale price of $3,925,000. 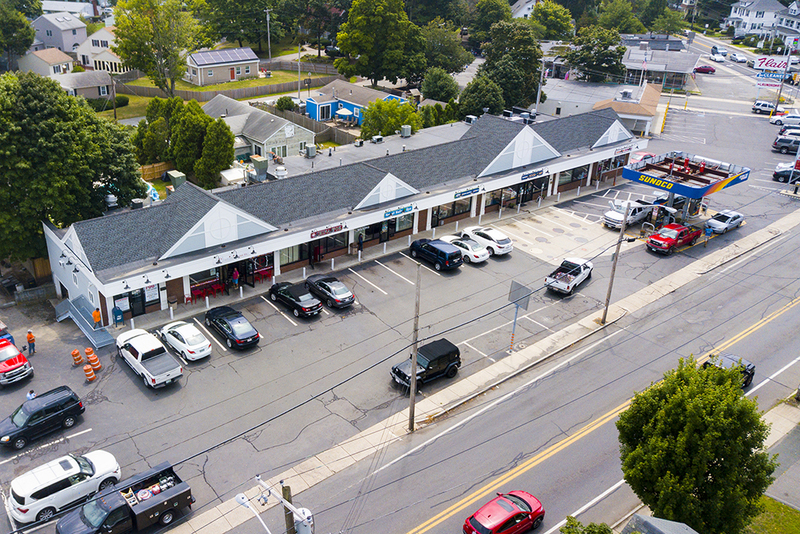 Beverly Retail Plaza is 92.6% occupied with a mix of local and national tenants including Dunkin’ Donuts and Sunoco-branded fuel pumps operated by North Beverly Food Mart. The neighborhood plaza contains 7-units in 9,460 s/f of street-level retail space plus 4,348 s/f of lower level storage, office and mechanical space. The property is located at a six-road intersection 100 yards from the on/off ramps to Rte. 128 with traffic exposure to over 28,000 vehicles per day. The buyer, Robert Dana, Dodge St. Holdings, LLC, a customer of Horvath & Tremblay, with advice from consultant and property manager Jay Goldberg of Spire Investments, LLC, purchased the property as a long-term investment.